Handrail Shaper Cutter - 3/4" Bore, 4-3/4" Dia. Grizzly C2217 - Handrail Shaper Cutter - 3/4" Bore, 4-3/4" Dia. Save a fortune on expensive handrails by creating your own rail stock with your shaper. 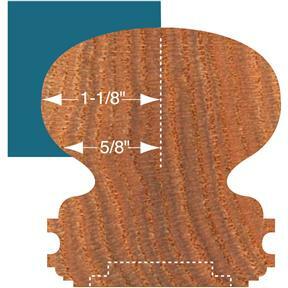 Recommended for use on 3 HP or larger shapers, this carbide-tipped cutter lets you mill full-sized 2-1/2" high rails out of your choice of softwoods or hardwoods. 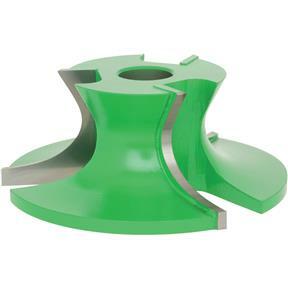 This stacking cutter is for use on 3/4" spindles. Note: Profile for C2219 requires C2217 and C2218 to be run individually, not stacked.